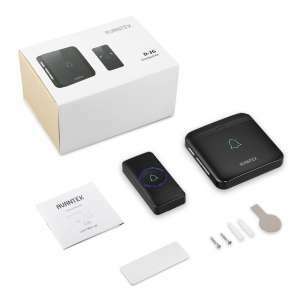 Welcome to our wireless doorbell review of the Avantek D-3G! 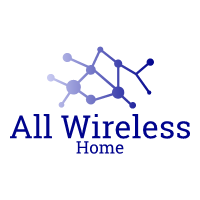 If you have already looked at our best wireless doorbell page, you will already know that it is a fantastic wireless doorbell if you need it loud, or if you need a long-range solution. In this review, we will give you details on how loud it is, what the working range is, and is it a good option for those who live in a cold climate? 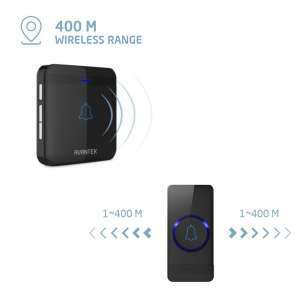 There is no frequency blocking technology utilized by Avantek for this model. Consider the environment you are setting this wireless doorbell to work in. If you are going to have many objects in the way, then you may want to go for a model with frequency blocking. Do you live in a cold climate? This model is a good choice for you, as it is IP55 rated against water and dust. It also has a working temperature range of -20 °C-60 °C. The advertised range for this wireless doorbell is 1300 feet (400 meters), but you must remember that this distance is unobstructed. It is likely to have a working range of around 50% of that, depending on the objects that you have between the push button and the chime. The signal can be affected by various objects, including walls, cables, and other electrical items, so bear that in mind if you decide to go for this option. There are 52 chimes and 5 volume levels. 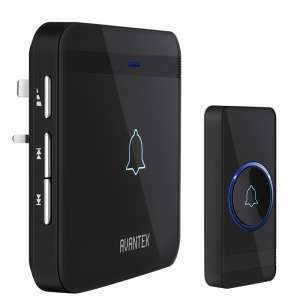 One of the best options if you need a loud wireless doorbell because this Avantek can go all the way up to 115dB! You can also set a different tone for each transmitter if you add more, which means you know which button has been pressed just by the chime! This Avantek D-3G wireless doorbell is rated IP55 against water and dust. 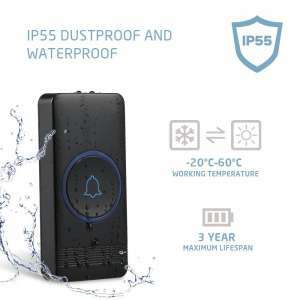 IP55 means that it is protected against low-pressure water jets from any direction, which basically means you can use it out in the rain without fear of it breaking! In terms of the operating temperature, the Avantek D-3G wireless doorbell will operate within the ranges of -20 to 60. That is plenty big enough for most countries! This is one of the best weatherproof wireless doorbells you can buy! The installation for many wireless doorbells is easy. For the push buttons, you can either screw them in or use the adhesive strips that are part of the wireless doorbell kit. The Avantek D-3G comes with self-adhesive pads to stick the push button onto the surface, which is a great option if you do not want to drill. Personally, I like to screw the transmitters in, but the adhesive also works very well. Avantek supply all products with a 12-month warranty and a 30-day money back guarantee and that includes this wireless doorbell! Support is excellent! You can contact the team on support@claybox.com and there is a 24 response time for all queries. As I mentioned above, Avantek seems to pump out some very nice wireless doorbells. It is loud, it has a long range, it is waterproof and it looks great. The Avantek D-3G really is a great option, and definitely one to be considered. Can you tell me how to set the transmitter so that the light is illuminated at night and off during the day. Unfortunately I’ve done something incorrect mine is illuminated during the day and his off at night. I have been looking into this for you and I cannot see anywhere that you can set the push button to only illuminate during certain times. Are you definitely using this doorbell? There is a digital copy of the user manual which I am happy to email over to you if needed. Avantek is one of the best wireless doorbell producers around at the moment. The D-3G is a great looking wireless doorbell and specifications that make it a great choice for cold weather, long range and an excellent choice for deaf people - it is very loud!